The latest installment of Maze Runner, The Scorch Trials gives you the action and thrills that the original film sorely lacked. 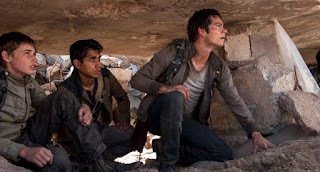 Continuing right where the first one left of, with Thomas (Dylan O'Brien) and friends having just been rescued from WCKD. 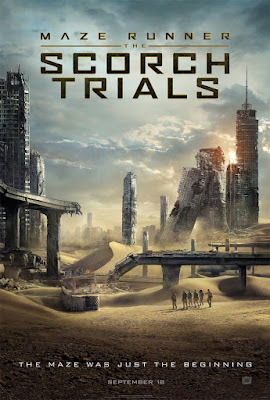 They quickly learn all is not what it seems and sets off to find the supposed freedom fighters that oppose WCKD. 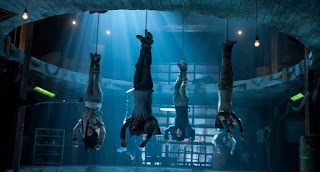 From zombie like creatures that were borrowed from World War Z to sorely inadequate freedom fighters from NBC's Revolution, there is a familiar feel to the whole movie. What I enjoyed about the film is the quicker pace at least during the first half of the film. Yes, the film doesn't have as much character development as the first film with only a couple of new characters to supplement those that made it through the first film. Besides the action, the plot is slightly more plausible given the less trusting nature of the characters despite the fact that they are supposed to be just teenagers. Like the first film, the filmmakers do a great job of incorporating humor to an otherwise depressing apocalyptic world. As good as the first part of the film is, the pace quickly changes to plodding along as they move across the desert and doesn't pick up again until towards the end. The performances while generally good, for me the weakest performance among the bunch would be Kaya Scodelario returning as Teresa Agnes. Her aloof performance isn't aided by her predictable character. As well, while the sequel is less predictable than the first film, there are some scenes including a betrayal that you could have seen coming a mile away. Overall, I would recommend the sequel based on the action scenes and fun dialogue between the characters. The story tries to be more complicated and sophisticated than it can handle itself with forgone twists. As well the pace quick to begin with, becomes uneven midway onward. 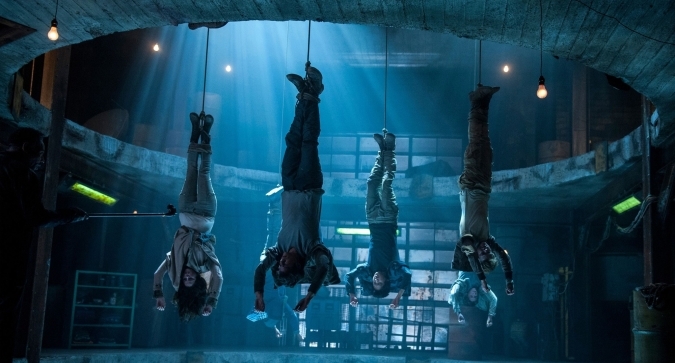 But with a solid performance from the majority of the cast, keeps the film interesting and engaging enough to make you want to see what's next for the former Maze Runners.